Log exports are back in the news with BC mayors resolving that the provincial government should enact a policy to manage exports; Nova Scotia’s premier and forest minister are distancing themselves from a recent email about clear-cutting; and New Zealand’s forestry minister makes a plea to China for timber industry investment. In forestry news, fire expert Bob Gray says traditional logging hasn’t eased wildfires in BC – maybe the wrong trees are being left behind; BC’s Premier says he won’t just write a review of this year’s fire season, he wants a call to action; and Manitoba trees are suffering from the equivalent of a depressed immune system. In the US, harvesting activity increases with demand for wood in Southwest Colorado while in the northern part of the state, legislators are calling for restoration funding following the recent fire season. 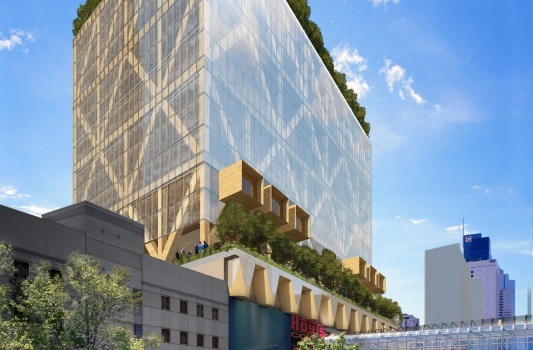 Finally, a CLT tower in Australia gets the green light – partly because it’s lighter than other materials, and tenants who like “that kind of space” are prepared to pay more! At their annual convention, Union of BC Municipalities delegates September 12 approved a block of resolutions without debate. Among the resolutions were… The UBCM heard $805 million of unprocessed logs were exported from B.C. in 2017, compared to $278 million exported in 2008. It said this meant lost opportunities to add value to and create local jobs. The UBCM resolved the provincial government should enact policy that prohibits raw log exports from B.C. without provincial wood processing needs and capacity first being evaluated and met. Premier Stephen McNeil and his forestry minister are distancing the government from an email a senior official sent to major mills in Nova Scotia about changes to clear-cutting practices. Allan Smith, director of resource management for the Department of Lands and Forestry, sent the email on Sept. 11. The letter, which CBC News has obtained, says “all forest management keys that direct you to non-clearcut treatments should be followed,” and that “the department is serious about reducing the amount of clear cutting where possible.” But on Tuesday, Lands and Forestry Minister Iain Rankin called the email “friendly advice.” A department spokesperson said the intention was to give guidance to licence holders and the people who review harvest plans for Crown land as the department works toward a more ecological approach to forestry. Approval of American softwoods in Peru’s building code has been the objective of discussions over the last two years; extensive training has been provided to Peruvian officials. 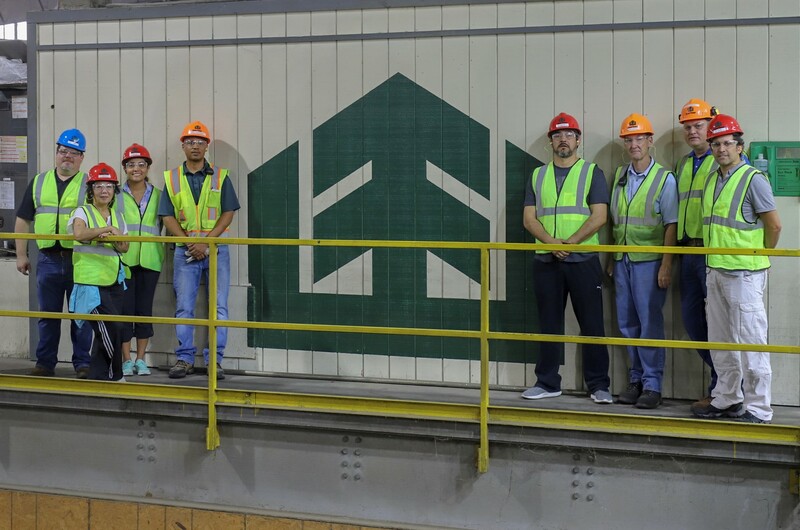 Recently, face-to-face meetings were held in the United States for Peruvian officials to gain additional firsthand insight into American lumber operations and quality-control standards. …The officials spent two days at the headquarters of the Southern Pine Inspection Bureau (SPIB), writing a report that will be submitted to the Peruvian Ministry of Housing. The report’s purpose: to permit use of American softwoods as a construction material through the Peruvian building code. …From their week-long visit, the Peruvian officials gained a valuable education of American softwoods and its suitability as a construction material. In the coming months, a follow-up meeting will provide evidence of moving forward toward acceptance of American softwoods in Peru’s building codes. 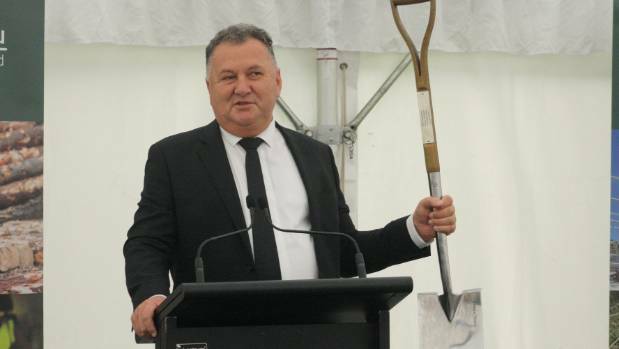 New Zealand forestry minister Shane Jones has made a plea for more Chinese investment in the country’s forestry and timber processing at the Global Wood Trade Conference (GWTC) in Chongqing, China. As part of the largest Kiwi delegation every to attend the GWTC, Jones told the conference that New Zealand’s timber industry was heavily reliant on access to foreign capital and needed to substantially increase its forest reserves. It comes after the Productivity Commission’s call for up to 2.8 million hectares of land to be turned into forests as a carbon sink. This would require implementing the most ambitious land-use change project a New Zealand government has ever set itself. Jones said the government had created a more streamlined process for investment in forestry using foreign capital and that had opened up a special opportunity for those interested in working with New Zealand. KUALA LUMPUR — The Primary Industries Ministry is urging all parties involved in the growth of the country’s bamboo industry to take proactive steps to ensure that transformation and modernisation takes place to grow the sector.Minister Teresa Kok said this was needed to propel the sector’s growth which only recorded RM300,000 in exports last year. Currently, she said there are more than 100 bamboo processors in Malaysia and most of these are small and medium enterprises. “Previously, we only made products such as baskets or satay skewers using bamboo. Now, we need to produce higher value products such as furniture, laminated boards, construction materials and innovative novelty products. 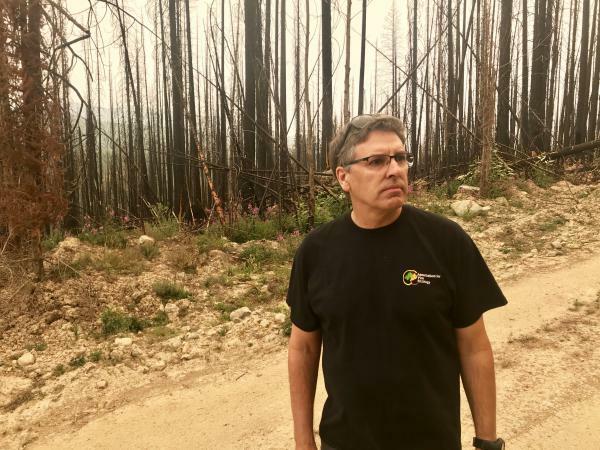 Bob Gray… has worked as a fire ecologist for various government agencies on both sides of the border. …This mountain burned last year. Before that, it was harvested, which is an industry word for logging. …“The fire didn’t stop here. It burnt just as hot here as it did in the places that hadn’t been harvested.” Gray says traditional logging hasn’t really eased wildfires in British Columbia because the industry takes the wrong kind of trees. Well, they harvest the trees that are great for lumber. But it’s the millions of sickly, dead and skinny trees that help lay the groundwork for big fire. …But the British Columbia government says logging can ease wildfires if companies take steps to mitigate wildfire risk, such as burning slash after they log. …But are Americans learning from their neighbors to the North? Premier John Horgan served notice last week that the usual after-action report on the wildfire season is going to be a little different this time around. “We need to make sure that we don’t just do another review. We need a call to action,” he told delegates to the Union of B.C. Municipalities. …There’s one aspect of the 2018 fire season that will likely stir the same appetite in the public for a dramatically new approach to fighting them. It was the smoke. Day after day of choking smoke and urgent air-quality warnings in a significant number of communities. …It advocates “greater use of prescribed burning to achieve fuel mitigation at both the interface and landscape levels.” The recommendation is understated. Reading between the lines, it’s calling for prescribed burning on a huge scale, far higher than ever used previously in B.C. The importance of a healthy forest in preventing wildfires as well as rehabilitation following wildfires was the subject of a presentation at the Forest Nursery Association of BC conference in Salmon Arm. Steve Kozuki, executive director of the Forest Enhancement Society of BC (FESBC) reported on some of the initiatives the organization has funded …Kozuki notes the Forest Enhancement Society uses three main tools in forest rehabilitation: plant trees on land that has been impacted by wildfires and that wouldn’t otherwise have trees, fertilize the trees to make them grow faster in order to remove carbon from the atmosphere sooner and find alternative uses for fibre left from forestry operations. …“Whenever there’s logging, by law, companies must reforest, but when we lose forests to natural causes such as insects, disease or fire, nobody has the responsibility for reforesting, Kozuki says. Winnipeg’s embattled tree population faced-off against yet another foe this past summer that has left it more susceptible to disease: the record-setting dry heat. …”If there are trees that are water-sensitive or that require a little bit more moisture in general, then those are the trees that are going to be showing the signs of stress,” said Martha Barwinsky. Similar to a depressed immune system in humans, when trees struggle to thrive they are most vulnerable to disease and infestation like Dutch Elm disease, the emerald ash borer and the cottony ash psyllid, also known as jumping tree lice. …Barwinsky said about 700 black ash trees — the preferred host of the insect — are now dead or in severe decline. 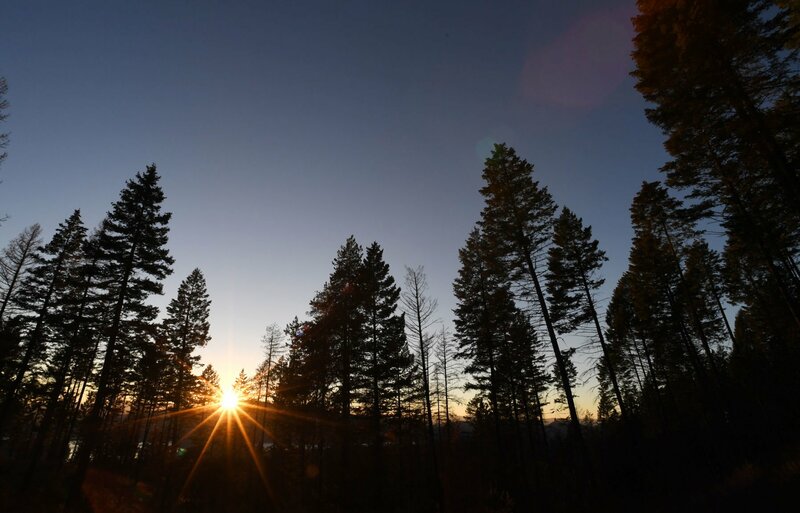 Stillwater State Forest near Whitefish is set to gain more than 13,000 acres as a long-gestating conservation project nears completion.The woodlands northwest of Whitefish Lake have a lower profile than Glacier National Park’s nearby peaks. But they shelter some of Montana’s most iconic species — grizzly bears, lynx, whitetail deer, trout — and drain into one of the region’s most popular lakes.The Stillwater State Forest covers about 90,000 acres of this habitat, and the Whitefish Lake Watershed Project has spent the last year working to enlarge it by 13,398 acres. It reached its last major step Monday, when the state Board of Land Commissioners approved the transfer of 3,180 privately owned acres to the Montana Department of Natural Resources and Conservation. U.S. Sens. Lisa Murkowski and Dan Sullivan with Congressman Don Young are again showing how out of touch they are with the current realities on the Tongass. In a letter last month, the delegation urged keeping a controversial amendment that Young squeezed into the House Farm Bill that exempts Alaska’s two National Forests from the national Roadless Rule — a rule that prevents wasteful and unnecessary logging roads. With typical bluster, the delegation asserts that the Roadless Rule has been “disastrous for the forest products industry [on the Tongass].” As the State of Alaska’s own economic experts explained 15 year ago, Tongass timber is uncompetitive because of permanent and fundamental changes in global timber markets, high labor costs, distance from markets, and less expensive substitutes. 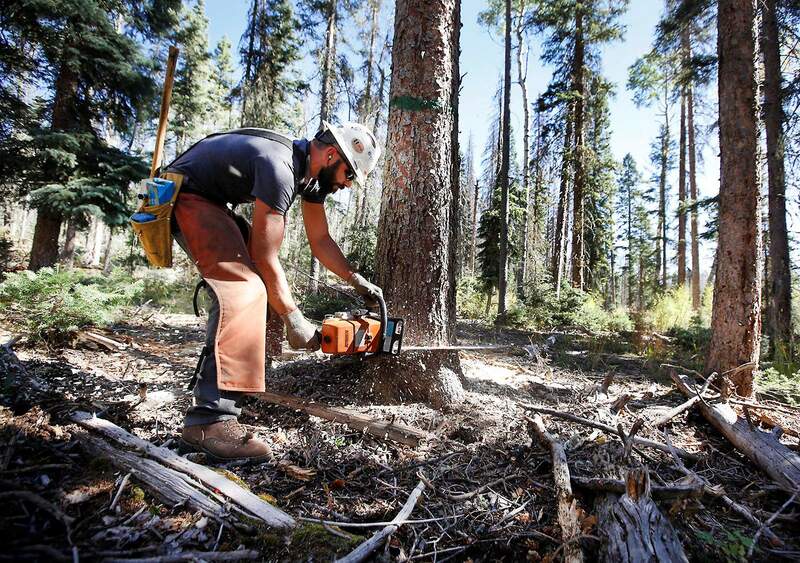 Commercial logging is making a comeback in the San Juan Mountains. 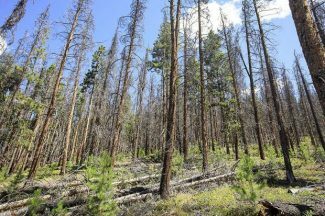 Stagnant over the past decade, Matt Janowiak, district ranger for the U.S. Forest Service’s Columbine district, said timber sales will increasingly be reintroduced on the landscape of the national forest in Southwest Colorado. “Demand is increasing … so there’s going to be more of it,” Janowiak said. 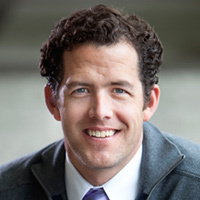 Commercial logging has lagged the past decade as demand for lumber waned, he said, driven in large part by the Great Recession around 2008 and its impacts on the housing industry. A further hit to the industry locally occurred around 2011, when the region’s largest mill, Montrose Forest Products, declared bankruptcy, Janowiak said. … The Forest Service in Southwest Colorado, however, has gradually been rebuilding its timber program since 2011 as demand ramps back up. With one of the worst wildfire seasons in state or national memory continuing to unfold into the fall, local legislators in northwest Colorado are pleading federal representatives to push Congress on restoring funding for U.S. Forest Service districts with forestland in their counties.The Northwest Colorado Council of Governments sent Sen. Michael Bennett, Sen. Cory Gardner, Rep. Jared Polis and Rep. Scott Tipton a letter last month, urging the Colorado delegation to put pressure on the rest of Congress to restore funding that has been slashed over the past few decades. …The USFS funding cuts have coincided with worsening wildfire seasons and drought, with increasing amounts of local, state and federal resources being incinerated in wildfires every year. The state’s review of its native forest logging practices says critical knowledge gaps and faulty tracking of threatened species has made it impossible to complete its task properly. The 10-year forest management plan which began in 2014 is supposed to balance outcomes between conservation and the timber industry. Government watchdog the Conservation and Parks Commission released its draft mid-term review of the plan for public comment, auditing 24 key performance indicators.It found not only had the four relating to biodiversity – threatened fauna, threatened flora, threatened ecological communities and wetlands – not been met, but also that the Department of Biodiversity Conservation and Attractions failed to provide the clear targets, standardised methods, and species management priorities that the forest management plan, and the review, had relied on. The Department’s draft regional nature conservation plans were supposed to provide these; but the Commission wrote they did not meet these requirements and lacked clear measurement protocols. From the Horse fire near the New Mexico border to the Ryan fire now partly burning in Wyoming, Colorado wildfires continue to scorch new forests and grasslands late in the summer. A heat wave has energized the fires that continue to make runs in parched areas of the state suffering from drought and low humidity. U.S. Forest Service officials have walked a tight rope in allocating thinly-stretched resources, including manpower, planes and bulldozers. Fire crews have been beefed up across Colorado. Ryan fire – Fire managers continue to funnel more firefighters to the blaze that started on Saturday and has spread to 2,500 acres by late Monday. The fire is at zero-percent containment. Are waste rail ties treated with creosote and/or pentachlorophenol a “clean or renewable resource” suitable for burning to generate electricity in B.C.? This is a question B.C. Hydro will address over the next year. The biomass power plant in Williams Lake currently burns clean wood waste to produce electricity that it sells to B.C. Hydro under an electricity purchase agreement. However, in an effort to move to a cheaper fuel supply, the plant’s owners obtained government approval in 2016 to burn up to 50 per cent waste rail ties on an annual basis. Fortunately, the plant is not burning them yet. This authorization was widely opposed by local residents for a variety of reasons, including predicted substantial increases in respiratory irritants like sulphur dioxide and hydrogen chloride gases and pollutants like polycyclic aromatic hydrocarbons in the Williams Lake airshed. Beginning today and continuing for the next four months social media ads carrying messages extolling the benefits of using wood pellets for residential heat will be delivered to consumers in eight markets across the United States. The initiative has been launched by the Pellet Fuels Institute as part of a broader effort to increase consumer awareness and interest in the use of wood pellets for residential heat. “Our board and membership is really rallying around the idea of the PFI taking a leading role in the promotion of wood pellets as a clean, renewable and cost effective home heating solution,” said Tim Portz, executive director at the PFI. …Test markets include Butler, Pennsylvania; Lebanon, New Hampshire; Grant, Michigan; Placerville, California; and Bel Air, Maryland. Who would pay a state carbon fee — and who would get let off the hook — in a ballot measure coming up for a vote this fall? 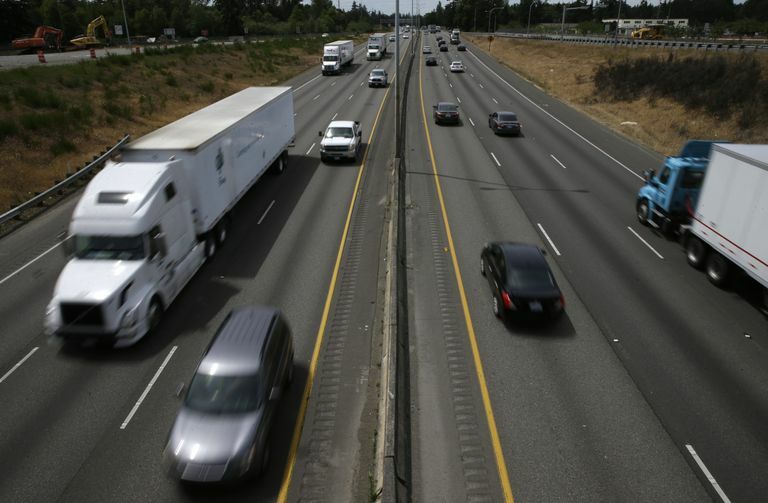 That question is getting airtime in the opening weeks of the campaign-advertising season for Initiative 1631, which asks Washington voters to be the first in the nation to approve putting a price on greenhouse-gas pollution released by fossil fuels. The proponents’ initial television ad shows an oil refinery. “What they burn, we breathe,” an announcer declares. …The opposition…. denounces the measure as containing unfair exemptions that give “big corporations a free ride” and shift the burden onto families and businesses. …The opposition campaign has highlighted the absence of carbon fees on paper and pulp mills, and a Kettle Falls biomass power plant. These industrial operations represent six of the top 12 point-sources of pollution on a list compiled by opponents from state reporting records. Conifex has been fined $191,600 for an incident that occurred at its Fort St. James, B.C. sawmill. A worker was using a forklift to transfer rough-cut lumber from a pile to a planer. The lumber was unwrapped and stacked three loads high. The worker exited the forklift between loads to remove dunnage from the top of the next load. The load collapsed and fell forward, pinning and injuring the worker. WorkSafeBC inspected the site and determined that the lumber pile was on an unstable foundation of partially frozen soil, snow, and sawdust. Other lumber piles in the yard were observed to be similarly unstable and partially collapsing.